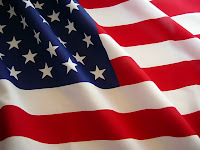 "The American flag does not fly because the wind moves past it. The American flag flies from the last breath of each military member who has died protecting it. American soldiers don't fight because they hate what's in front of them...they fight because they love what's behind them." Thank you to every service man and woman. Happy 4th of July weekend everyone. God Bless America! Wishing you a blessed Independence Day! I like that quote too! and that was a nice tribute to the men/women/families that serve in our military!! Wishing you all a wonderful Fourth! I saw that quote on FB, too--and loved it! Hope you have a great 4th! Love seeing and reading about American Pride. We are so blessed to live here. Have a wonderful 4th! Loved the quote. Hope your 4th was a good one. It rained here last night....finally! Thanks for the quote. This is what my students will write 20 times if they decide to talk during the Pledge of Allegiance! I hope you had a terrific holiday! Thank you for posting the quote and video!! !